NOTICE: Activation key must be used on a valid Steam account, requires internet connection. ABOUT THE GAME	You're spending your whole life to please your gods. You're fighting and dying an honorable death. And now this! The poor Vikings are standing in front of Asgard's gates, waiting to enter Valhalla. But the ungrateful Gods won't give them what they deserve, closing the gates right in f… ront of them.Although, a true Viking never gives up. If it's impossible to enter Valhalla the traditional way, then why not just walk in there? But the usually pretty strong Vikings don't seem to cope well with the danger and challenges of the mountains. Look after your Vikings, gather food, chop wood and take care of the well-being of your small but growing population. Reach the portal on top of the hills, this is the only chance to get your Vikings closer towards their well-earned reward. 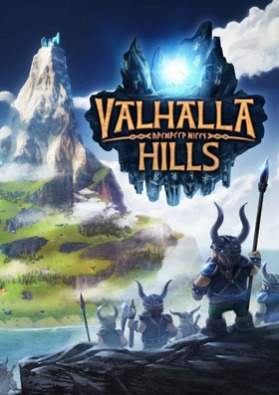 As in classical building games, it's essential to increase the productivity of the Vikings by puzzling out an ambitious and balanced economic system in Valhalla Hills. KEY FEATURES	From the developers of classics like “The Settlers 2” and the “Cultures”-Series	Be prepared for randomly generated levels with various challenges Look after your Vikings' needs Improve constantly, use your knowledge and achievements for the next map	Earn your place in Valhalla, for your Vikings and yourself	SYSTEM REQUIREMENTS Minimum: OS Version: Windows 7/8 64-bit Processor: Dual-core Intel or AMD, 2.5 GHz or faster Memory: 4 GB RAM Graphics: NVIDIA GeForce 470 GTX or AMD Radeon 6870 HD series card or higher Direct X Version: DirectX End-User Runtimes (June 2010) Disk Space: 3 GB HDD Sound Card: Onboard	Recommended: OS Version: Windows 7/8 64-bit or higher Processor: Quad-core Intel or AMD, 2.5 GHz or faster Memory: 8 GB RAM Graphics: NVIDIA GeForce 960 GTX or AMD Radeon R9 280 HD series card or higher Direct X Version: DirectX End-User Runtimes (June 2010) Disk Space: 3 GB HDD Sound Card: Onboard © 2015 Daedalic Entertainment GmbH and Funatics Software GmbH. Daedalic and the Daedalic-Logo are trademarks of Daedalic Entertainment GmbH. All rights reserved.